Alexander Leonidovich Aseev was born on September, 24, 1946 in the city of Ulan-Ude. In 1968, he was graduated from Novosibirsk State University. Since 1968, he works in the A.V.Rzhanov Institute of Semiconductor Physics of SB RAS. In 1975, he protected a PhD thesis «Formation of dislocation pattern of silicon and germanium monocrystalline layers on various substrates». 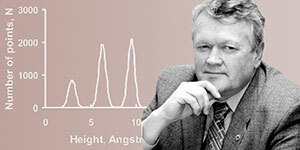 In 1990, he protected a thesis for doctor's degree «Structural rearrangements in silicon and germanium crystals at a great rate of point defects generation». In 2000, he was elected a corresponding member of RAS in the Branch of Computer Science, Computer Technology, and Automation of RAS (a speciality «element base for microelectronics»). In 2006, he was elected the full member of RAS in the Branch of physical sciences of RAS (a speciality «physics»). From 2003 to 25.04.2013 he was the director of the A.V.Rzhanov Institute of Semiconductor Physics of SB RAS. Since 2008, he is the vice-president of the Russian Academy of Sciences, the Chairman of the Siberian Branch of RAS. Since 2014, he is a foreign member of the National Academy of Sciences of Belarus. The main area of academic career of A.L.Aseev centers around studying atomic structure and electronic properties of semi-conductor systems of the reduced dimensionality, and around developing the technologies of semi-conductor micro-, opto- and nanoelectronics. A.L.Aseev and the co-workers have studied atomic mechanisms of clusterization processes for own point defects in silicon and germanium, properties of monoatomic steps on silicon surface. With the guidance and the direct involvement of A.L.Aseev, a processing technique to produce cadmium-mercury-tellurium photolayers by molecular beam epitaxy and a processing technique to generate semiconductor structure with quantum holes that are in use when manufacturing matrix and striated photoreception devices for a new generation of infra-red equipment have been developed. Actively supported by A.L.Aseev, the development of nano transistors in silicon-on-insulator structures, new types of memory cells, and microwave electronics elements is under way. A.L.Aseev is a member of RAS scientific councils on semiconductor physics, physicochemical bases of semi-conductor materials science, electron microscopy, is the vice-president of the RAS Scientific Council «Fundamental problems of creating the elemental base for information and operating systems». He is the chairman of doctor's dissertation board. During 2010-2012 he was a member of editorial boards of RAS journals: «Fizika i tyekhnika poluprovodnikov» «Avtomyetriya», «Izvyestiya vysshikh uchyebnykh zavyedyenii». Matyerialy ehlyektronnoi tyekhniki», «Crystal Research and Technology», «Nano- i mikrosistyemnaya tyekhnika», «Rossiiskiye nanotyekhnologii», «Nanotyekhnologii. EHkologiya. Proizvodstvo», «Problyemy informatiki», «Surface Science and Nanotechnology» electronic journal. He is a member of the RF Presidential Council on Science, Technologies and Education, a member of scientific and technical councils of some institutions, of «Scientific and Industrial System «Optical systems and technologies» Company. 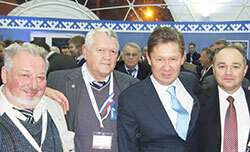 In 2007-2012, he is a member of Scientific and Technical Council of «Rosnano» State Corporation. As of now, he is a member of Public Council of the RF Education and Science Ministry, of the FSS Advisory Council, of Scientific and Technical Council of the Military-Industrial Commission of the RF Government. A.L.Aseev is a member of the Supervisory Council of the Novosibirsk State University, a member of the NSU Academic Council; full professor of a subsidiary of the sub-faculty of semiconductor physics of Tomsk state university, a honorary member of A.F.Ioffe Physicotechnical Institute of RAS, honourable doctor of Tomsk State University, honourable professor of the Buryat State University, a member of the Board of Guardians of the Development Program of the National Research Tomsk State University. He is the scientific supervisor of 4 candidate and 2 doctor dissertations. A.L.Aseev is an author and a co-author of more than 250 scientific works that include 5 monographs and 9 patents. He is the Head of the SB RAS Program of Basic Research that involves 7 projects. A.L.Aseev is awarded by an order medal «For the Merits for the Motherland» of the 2nd degree, by the highest award of Mongolia «Polar Star», by Diplomas and Acknowledgements of the RF State Duma, Federal Atomic Energy Agency, National Research Tomsk State University, of the Novosibirsk mayoralty, the Novosibirsk Region Government, of the RF President Plenipotentiary in the Siberian Federal District in connection with the 75-year anniversary from the formation date of the Novosibirsk Region, by the badge «Civil Valour» of Sakhas Republic (Yakutia), by the orders «Key of Friendship» and «Kuzbass Valour», the highest awards of the Kemerovo Region. In 2011, A.L.Aseev got a rank of «the Honourable Worker of Science and Technology of the Russian Federation». * Source: Alyeksandr Lyeonidovich Asyeyev: biobibliografichyeskii ukazatyel' (1969-2012) / Gos. publich. nauch.-tyekhn. b-ka Sib. otd-niya Ros. akad. nauk; [sost. L.A.Mandrinina]. - Novosibirsk: GPNTB SO RAN, 2012. - 143 s.
Updated: Wed Feb 27 14:46:24 2019. Size: 12,005 bytes.